Fairies feature heavily in Irish mythology. Fairy forts are to be found all over the country and each one comes with many folkloric tales attached. The fairies of old Ireland were not always known as sweet, pretty beings, and many stories feature dark, supernatural events that I find utterly compelling. I studied folklore in University and it was pretty much the only subject I was sad to say goodbye to when I graduated. I have passed on my fascination with 'The Good People' to my girls, but I don't think they are quite ready to hear about the not-so-nice things that fairies get up to. The fairies they know of now are sweet and kind, with perhaps just a sprinkling of mischievousness thrown in for good measure. We have a fairy living with us, who Lile and Sábha think of as their brother and we regularly go for walks in 'the fairy forest' (which can be any forest really, with a little imagination) but occasionally we stumble upon locations where the presence of the little folk is undeniable. I've been making a list of these places for a while now. Every time I've come across a new spot, or heard about one from someone else I made a mental note to remember the location. My list kept growing and growing, however, so I thought I'd better record it so that, perhaps when Summer comes and we're looking for new adventures, I'll actually be able to remember where I intended to go! 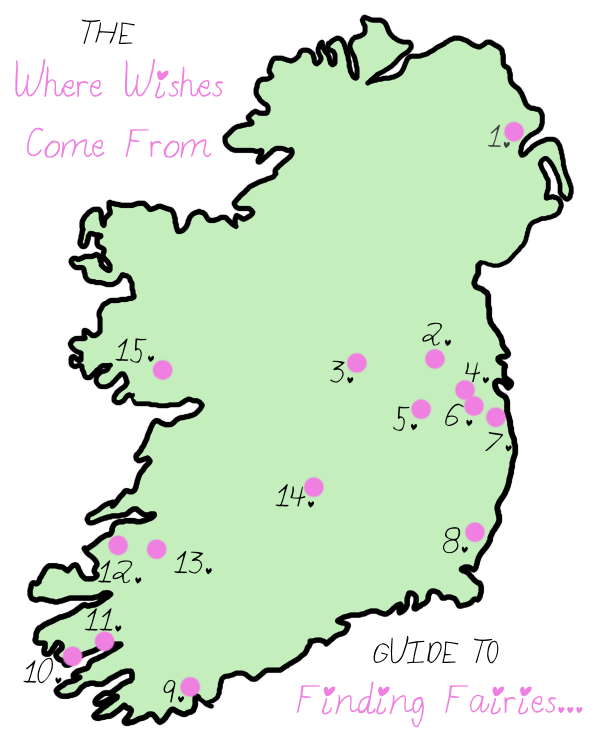 Below, there is a map marked with all of the places I have found to visit the fairies in their natural habitat. This map is not in any way accurate. It is for illustrative purposes only. Don't blame me if you use it and get lost! Note: You can click on the name of each place below to find more information and click on the location for a link to a map so you can plan your journey! 1. Mossley Mill in Belfast, Northern Ireland. There is apparently a village of ten fairy houses to be found in Mossley Mill, but there is not a lot of information about it online (I think the fairies probably like it that way - secretive creatures that they are!) This fairy trail sounds really lovely, though, and the next time I'm up North I would love to pay a visit. 2. Rathbeggan Lakes Fairy Garden - Dunshaughlin, Co. Meath. This garden looks really sweet. There are plenty of little doors to find in the trees and it is a beautiful setting. I love that you can choose a piece of ribbon to bring to the wishing tree and tie it on as you make a wish. There are fairy and dragon themed birthday party packages available too and even very unique Hen celebrations to be had here. It looks like this spot has potential for a great family day out. I've heard rumours about a lovely fairy garden in Belvedere House and Gardens, but I don't remember seeing it when I last visited there. In fairness that was quite a few years ago, so perhaps the fairy folk are relatively new residents. The fairies there are also secretive, but after a good search, I did manage to dig up these images of them. 4. Corkagh Park Fairy Trail - Clondalkin, Dublin 22. The Irish Fairy Door Company had a hand in enticing the fairies to move into this beautiful park. With a free pet farm and a playground also nearby this is a fantastic place for a family day out. Check out the video below for a little taster of what to expect on your visit. I love how Lullymore has embraced the folklore behind the lone Hawthorn tree that was there long before the park became 'a park' and how respectful they are of the fairy village that has grown around it. This looks like a gorgeous spot for a day out and is at the top of my wish-list these days! 6. 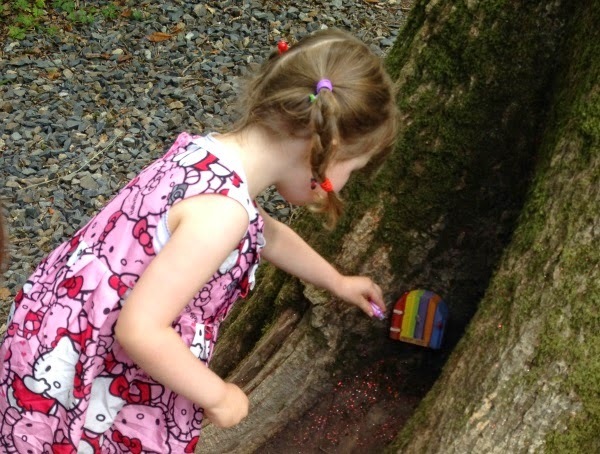 Tymon Park Fairy Trail - Tallaght, Dublin 24. 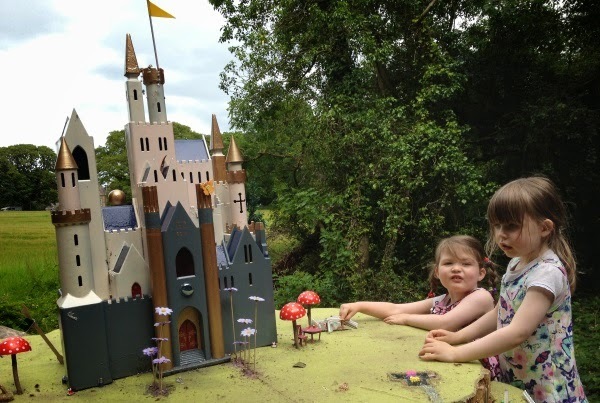 Another Fairy Trail encouraged into existence by the good people of The Irish Fairy Door Company. I haven't visited here yet but the photos of its launch look lovely. A little birdy told me, however, that sadly, some of the doors have gone 'missing' recently, so I'm not sure what it looks like now. We've visited this tree a few times as it's not too far from our house. You can have a look at some of our photos HERE. The castle at the top is very beautiful and any child would love a chance to leave a note or a gift for the residents here. There is often a washing line hanging out with tiny clothes on it too. It's such a wonderful place to stumble upon in an already fantastic park. 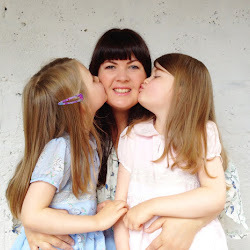 We went to visit the fairy trail in Wells House and Gardens last Summer on my Mama's birthday and had a really, really lovely day out. The post I had planned on it never materialised but here are a couple of photos of the day to give you an idea of the setting. My girls loved finding the fairy doors and sprinkled glitter on every fairy door-step as we walked through the woods. This spot comes highly recommended from the Where Wishes gang! This is one of the most enchanting places I have EVER been. A dear friend of mine brought myself and the girls here when we visited her a couple of years ago. My girls still talk about it. Don't forget to bring a gift to leave for the fairies. Some coins, beads, seeds, flower petals, glitter or anything else teeny-tiny that you think a fairy might appreciate. 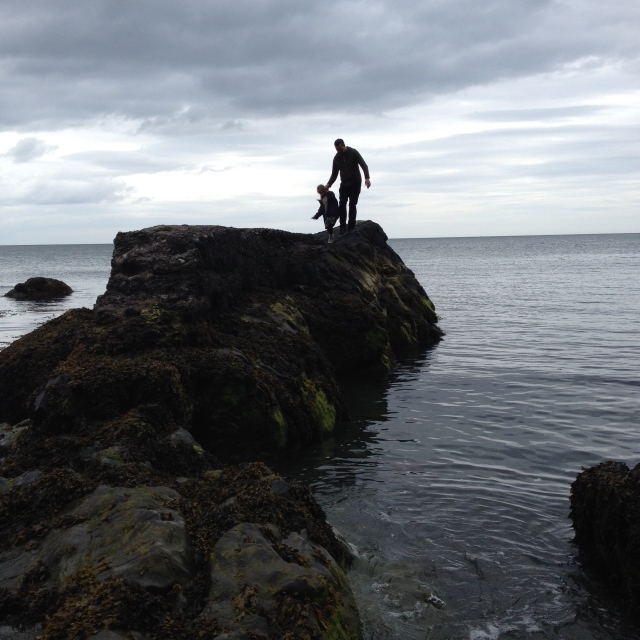 Click HERE are more details about our visit and a clue as to how to find this secluded spot. The fairies in both of these locations must be related as they all have amazingly quirky taste in homes. Each house is completely unique and many fairies have impressive patio areas and garden furniture outside too. One intrepid fairy has even set up home in an old wellington boot! Both of these trails rank highly on my 'to-do' list! Yet another fairy trail that has been founded by The Irish Fairy Door Company. This one is based on a fascinating story from local lore and has 9 fairies living in it. It also has a tree called 'Cróga' (which means brave). Children (or adults!) can put their hands on the tree, tell it their worries and the tree takes them away. There are lots of other magical discoveries to be made here too and I really hope I get to visit some day. I have stopped in Adare many, many times over the years on my way down to Kerry and if the fairy trail here is anything as lovely as the town itself it must be a treat indeed. There are 12 miniature fairy playhouses to find on the signposted woodland trail. The grounds of the manor look beautiful too, I'm not surprised the fairies made it their home. This looks like a wonderful place to bring a picnic, admire the scenery and try to find all the tiny doors nestled in the trees. The old stone bridge and ancient native trees make it an enchanting setting. You can also keep up to date with what these particular fairies get up to on Facebook. Brigit's Garden is not strictly a 'fairy garden' but if ever there was a place that might attract fairies to set up home - this is it. Although there is also an ancient fairy fort there which might still be populated! Brigit's Garden takes you on a magical journey into the heart of Celtic heritage and mythology, making it one of the truly outstanding places to visit in the West of Ireland. So that's my list! I'm sure there are many more magical places I have yet to discover and if you know of any I would LOVE for you to share your favourite magical spots in the comments. There is a lot of blank space still on the map and I really want to know what I'm missing! Oh great! Thanks so much!! I'll be doing an updated version of this soon, it would seem! I found an interesting story online on Irish fairies and elves. Last summer, on my visit to Ireland, I stayed in the Donegal Town hostel, just a short walk from town center. When I told the hostess that I was going to walk along the highway into town, she told me that I really must take the woodland fairy trail that skirts the estuary, and hurry up about it while the tide is still in. 😊 So I did. It's a lovely walk along the water with a view of the ruins of Donegal Abby just across the way. I saw the fairy doors, but the fairies themselves were nowhere to be seen.